» SCANDAL » SCANDAL News » Other News » SCANDAL Asia Tour 2011 “Baby Action” Singapore – Tickets Giveaway! Get. Ready. To… Scream!!! Your favorite pretties in SCANDAL are coming to Singapore this September 16 and 17 for some “Baby Action”! And here’s the best part : Get. Ready. To. Scream… EVEN LOUDER!! That’s right. Otaku House is giving away 3 pairs of SCANDAL concert tickets!! Simply comment below this page, telling us who your favorite SCANDAL babe is and why. The top 3 comments with the most number of likes will win the tickets! Deadline is 13 September 2011. We will contact the winners via Facebook messaging by 14 September 2011 for tickets collection (please ensure your facebook messaging is on on 14 Sep if you think you’re going to win this). Tickets in this Otaku House SCANDAL Concert Ticket Giveaway Promotion are for the $75 tickets, valid for 16 September 2011. SCANDAL is Japanese pop-rock girl band from Osaka, Japan. Formed in August 2006 by four high school girls, they started playing street lives until they were noticed and singed to the indie label Kitty Records. In 2008, they released three singles and a mini-album, while performing shows in the United States, France, and Hong Kong. Because of this, they have an international fanbase. 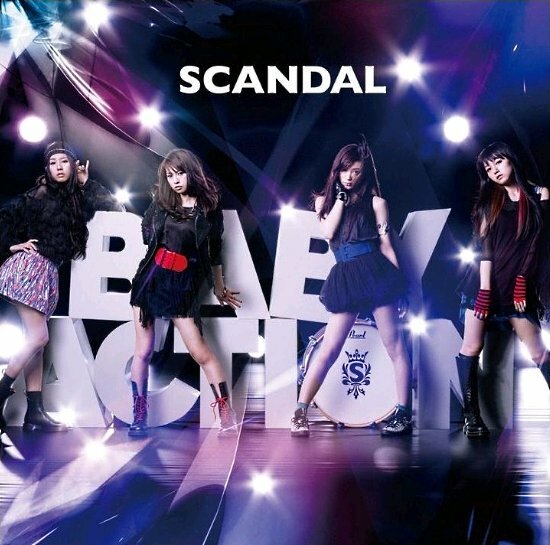 Also in that October, SCANDAL released their major debut single, “DOLL”, under EPIC Records Japan.